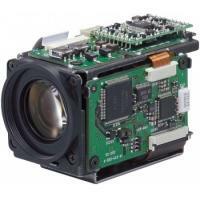 High Resolution and Wide Dynamic Range Combined in a Small, Block Color Camera! 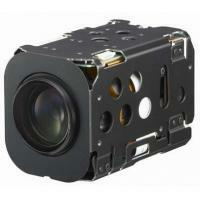 Sony is enhancing its line-up of block cameras with the introduction of its new D version wide dynamic block cameras. 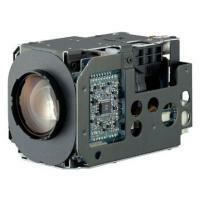 The SONY FCB-EX990D high resolution camera incorporates a ¼-type EXview HAD™ CCD with Advanced Digital Signal Processing to reproduce clear detailed images at an extremely high horizontal resolution of 530 TV lines. 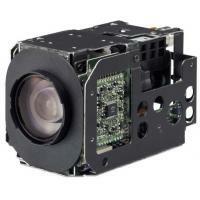 The SONY FCB-EX990D Camera features an 26x optical zoom lens. 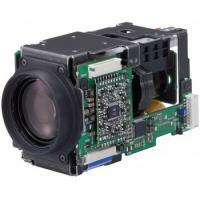 Feature-rich and coupled with clear and detailed images the FCB-EX series of color block cameras are ideally suited for monitoring applications that demand high performance. 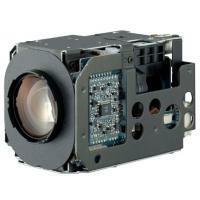 The Sony FCB-EX990D camera incorporates a 26x optical zoom lens. Combining a newly developed DSP with a 1/4-type EXview HAD CCD the Sony FCB-EX990D camera achieves a high horizontal resolution of 530 TV lines and output amazingly clear and detailed images. 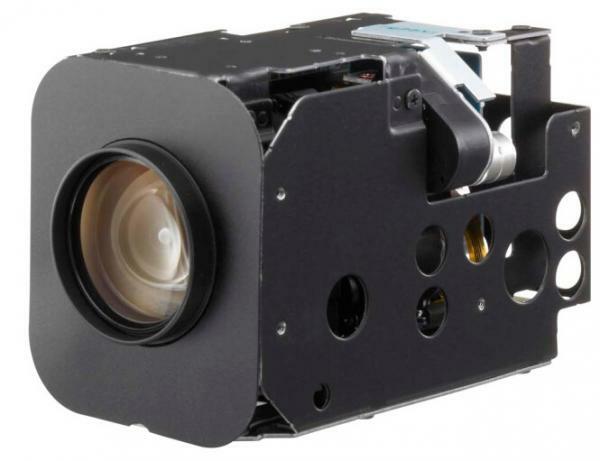 This new Sony FCB-EX990D camera incorporates an advanced backlight compensation technology that dramatically improves the camera's dynamic range by 128 times compared to previous FCB C series cameras resulting in clear image reproduction. This camera captures the same image twice - first with a normal shutter speed and then with a high shutter speed. The dark areas captured a normal shutter speed and the bright areas captured at high shutter speed are then combined into one image using an advanced DSP clearly reproducing the original scene. Wide Dynamic Range is ideal for lobby camera applications where the camera is exposing both people indoors and outdoor parking lot areas within the same picture. Within a screen divided into 12 horizontal and 8 vertical blocks the Sony FCB-EX990D camera can detect a change in luminance within designated areas (up to 4 areas) and specifies its position. The new Sony FCB-EX990D camera is equipped with a slow AE response function to automatically slow the rate at which camera exposure levels change. The rate can be set up to 32 times slower than when Full-Auto AE or Priority (shutter/iris) modes are selected. This function is useful when monitoring areas in which lighting conditions change abruptly. For example if the camera is used to monitor the flow of nighttime traffic when vehicle headlights are pointed directly towards it the camera's exposure level is reduced slowly. This can allow users to monitor and identify crucial parts of the image that surround the headlights such as the car's license plate or the driver's face. Up to eleven lines with 20 characters per line can be displayed on the monitoring screen using VISCA commands. Users can freely display captions on the screen such as monitoring location camera name alarm messages and providing operators with a user-friendly interface. 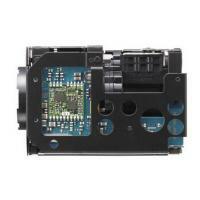 The new Sony FCB-EX990D camera incorporates SMART Lens Control technology that monitors the focus position of the lens during zooming and automatically compensates for any mechanical misalignment that may occur over long periods of continuous usage. With the introduction of SMART Lens Control periodic lens initialization is no longer required during continuous 24-hour operation. 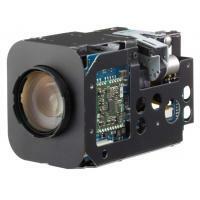 The Sony FCB-EX990D camera is equipped with a Picture Freeze function that allows for the output of a still image while the camera is panning tilting zooming focusing initializing the lens or performing preset operations. For example the camera will out a still image before it begins to pan tilt or zoom. 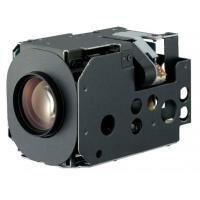 Once the operation is completed the camera continues to display images so that unnecessary images are not displayed. The Sony FCB-EX990D incorporates an Auto ICR function for optimized sensitivity in both day and night-shooting applications. At a set level of darkness the IR-cut filter is automatically disabled (ICR ON) and the infrared sensitivity is increased. At a set level of brightness the filter is automatically enabled (ICR OFF). The IR-cut filter automatically engages depending on the ambient light allowing the capture of images in a variety of lighting conditions. In addition to conventional color masking unwanted or prohibited areas within an image can be masked using a mosaic effect. A maximum of eight masking areas can be displayed on the monitoring screen. 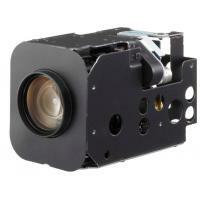 Also when this block camera is used with a Pan/Tilt/Zoom (PTZ) camera system masked areas are interlocked with PTZ movements regardless of the camera angle or even if it is circling. Up to 24 masking areas can be preset in the entire viewing range of the PTZ camera. high-quality security monitoring products and leading system solutions. SAFER now has developed into a professional manufacturer for CCTV products. 8 years of OEM expertise. Professional R&D and manufacture IPC, SDI, HDCVI, AHD etc. From 2008, SAFER mainly focus on IP products. With much experience in traditional CCTV product, SAFER has developed some professional IP products during the last two years, like IP Dome, IP PTZ Camera, IP Mid Speed Dome, IP High Speed Dome, IP Weatherproof IR Camera, and Wireless IP products including IP Box Wireless Camera, IP Wireless PT Camera, IP Wireless Speed Dome etc. certifications of FCC, CE, ROHS etc. Selling to more than 20 countries and districts over the world. Our products are famous for competitive price, high quality, humanization design and yeoman’s service.We received high reputation from the customers at home and abroad. Since established we attach importance to the cooperative, win-win and shared relationship with employees and partners. And achieve the win-win situation, mutual development. Let’s join hands to create a better tomorrow together! Regard "Honesty, Tolerance, innovation, service"
We believe that honesty is the basic of all cooperation, tolerance is the premise of solving the problems, innovation is the edge tool of development and service is the fundamental of worth creating.